A lovely place with over 100 year tradition. Peace, silence, old spruces, a stream with a cascade, delicious food, comfortable en-suite rooms and affordable prices. 55 beds in 16 rooms - 1,2,3,4 and 5-person rooms + 2 family rooms with a living room (for 4 people). The hotel comprises two buildings: “Krasnoludki” (“Dwarfs”) and “Śmieszek” (“Joker”), located 30 m away from one another. In each room, there is a bathroom (with a shower, toilet and sink) and an LCD TV (digital terrestrial television). There is also free wireless Internet access, an unguarded car park as well as a bonfire and barbeque place. For children, there are swings, a trampoline and a sandbox. At “Śmieszek”, there is a nice playroom for children with a seating corner (coffee, tea and TV) for parents. At “Krasnoludki”, there is a dining room with free hot and cold drinks and a TV. The hotel provides a free guidebook to the surrounding region with many useful maps. 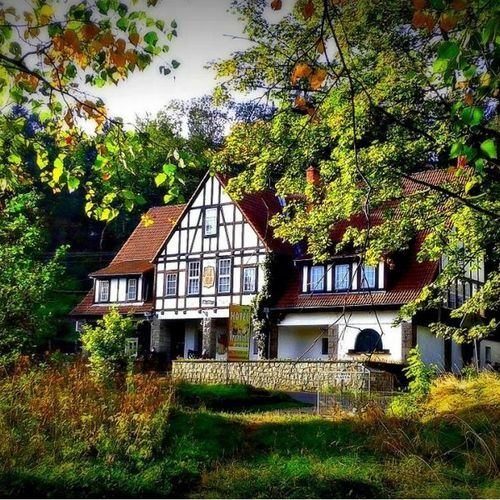 Nestled in this beautiful area, “Krasnoludki” is an ideal place for a base from which to explore the Karkonosze (Giant Mountains) and many other tourist attractions of the region. 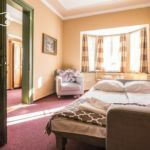 The hotel is situated 5 km away from Karpacz, 7 km away from the Tropikana Water Park, 10 km away from the Cieplice Thermal Springs and 15 km away from Śnieżka. The facility is located 170 km away from Prague and 190 km away from Dresden. Local attractions include: nestled on the neighboring hillside, the White Rotunda with the baroque St. Anna’s Chapel and the Good Source flowing from under the Chapel, whose water is said to help people get lucky in love. In the neighboring clearing, after walking 7 km, all tireless walkers may visit the Podgórna Waterfall, the third largest waterfall in the Giant Mountains. SOSNÓWKA is a picturesque village in the Giant Mountains. SOSNÓWKA DOLNA stretches away on Lake Sosnówka, while SOSNÓWKA GÓRNA meanders in the Pogańska Valley, up and down the mountainsides almost to the border of Górny Karpacz. 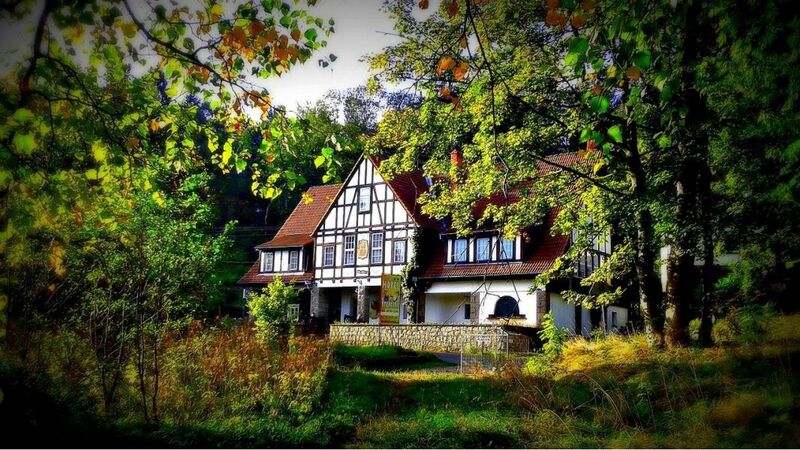 Right there, in SOSNÓWKA GÓRNA, at 630 m above sea level, after having a fascinating twisty mountain road drive, there is KRASNOLUDKI HOTEL. 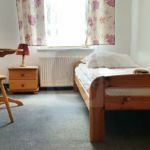 Those Guests who prefer the atmosphere and simplicity of a small mountain hotel, traditional Polish cuisine and hospitality to the luxury and buzz of modern resorts. Those who love peace and quiet, the murmur of water and birds singing… Those for whom going 2 km to the nearest shop, 4 km to the nearest bar, fish and chip shop or restaurant, and 7 km to the nearest hypermarket and gas station is not a problem, rather a synonym for rest and relaxation… YOU ARE WELCOME !!! 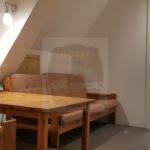 Standard 2-Room Apartment for 4 Persons "B"